MacGyver may have been the original “hacker” with his ability to face difficult situations using the everyday items around him. However, nowadays everyone is able to showcase their inner MacGyver by sharing their “life hacks” on the Internet. For instance, did you know that setting a wooden spoon atop a pot of boiling water will prevent it from boiling over? And did you ever think of using an empty (and clean) ketchup container to dispense pancake mix more effectively? The number of tips to make day-to-day life easier is endless. The same goes for installing radiant floor heating. The team at WarmlyYours Radiant Heating compiled the following list of five “hacks” for installing TempZone™ Floor-Heating Cable. They’re sure to make the process a whole lot easier! 1. Use an installation membrane. 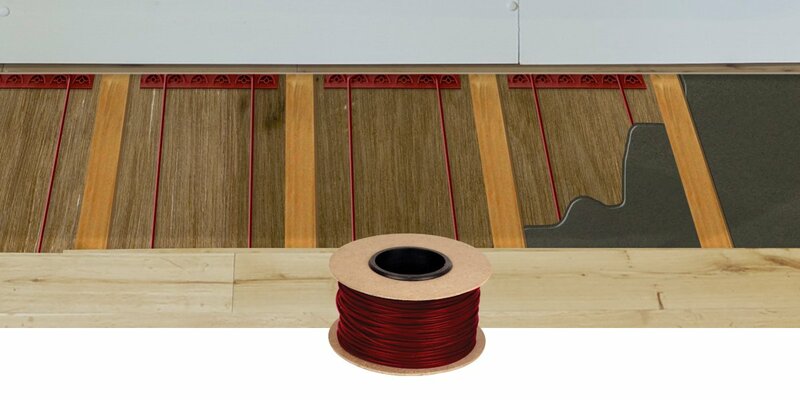 The easiest way to lay out floor-heating cable is to use an installation membrane. WarmlyYours offers a Prodeso membrane, which features rounded square-shaped reliefs that allow you to secure the cable and space it appropriately in the fastest amount of time. 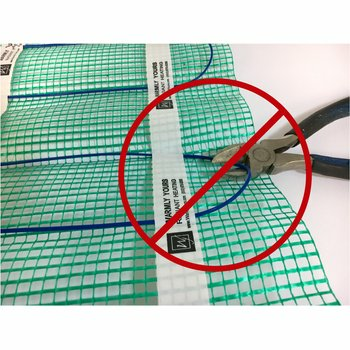 Unlike other installation techniques, the Prodeso membrane enables you to complete a floor-heating project in just one day because the flooring can be installed right after the cable is secured in the membrane. 2. Opt for double-sided tape. If you’re on a budget, then cable fixing strips is the way to go. They come with the TempZone™ Cable you buy, and they do a great job holding the cable in place. The downfall in using fixing strips is that installation takes longer because you have to wait for the thinset to dry before installing the flooring. Also, it can be time consuming to adhere the strips to the subfloor or underlayment if you’re using hot glue. However, that’s where WarmlyYours’s installation “hack” comes in. Instead of using hot glue, use double-sided tape! Industrial-strength double-sided tape is easy and quick to lay out. Plus, as you’re installing the cable, you’re pulling it from side to side. Double-sided tape is great at resisting this lateral shear. Before you finish the job, test the heating cable. It only takes a matter of seconds to connect a digital ohmmeter or Circuit Check to determine if your cable is working properly. Plus, the heating element’s installation manual tells you exactly how and when to do it. By checking your work as you go, you can make sure that your project goes off without a hitch. And if you do detect any issues along the way, you still have time to correct them before you’ve covered the heating element and laid the flooring. Trust us, it’s much easier to fix a break in the cable before installing the flooring. 4. Use a double-gang box. This installation hack comes into play when you’re ready to install the floor-heating thermostat. Single-gang (or 2” x 2”) electrical boxes are common in residential homes, but many homeowners don’t know that a double-gang (or 4” x 4”) box can actually prolong the life of their thermostat by allowing air to circulate around the control, thereby preventing it from overheating. To make the thermostat installation even easier, you can purchase an Electrical Rough-in Kit (https://www.warmlyyours.com/en-CA/products/floor-heating), which features a double-gang box and all the other parts you’ll need for installation. Have you ever put together a piece of furniture on your own? If so, you’ll probably agree that a professional could have done it about twice as fast. That’s because it’s what they do day in and day out. Likewise, the WarmlyYours technical team knows how to install a floor-heating system backwards and forwards. So why not leverage their expertise? If you run into any issues while you’re trying to install the heating cable, don’t hesitate to give WarmlyYours’s technical team a call! They are available 24/7 at 800-875-5285, and they’ll make sure that your installation is finished as quickly and correctly as possible. With these floor-heating installation hacks in tow, you’re ready to get your project rolling! 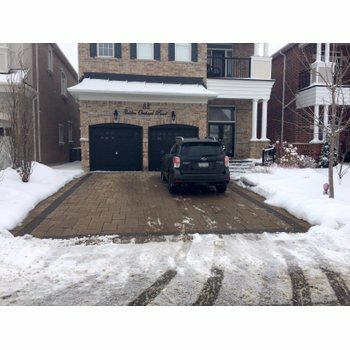 Start by getting an instant quote on www.warmlyyours.com (https://www.warmlyyours.com/en-CA/en...) or reach out to a WarmlyYours representative to help get you on the right track. You can call them at 800-875-5285 or email info@warmlyyours.com.